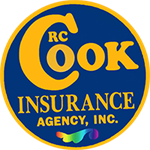 Get your free contractors insurance quote from RC Cook Insurance. Call 330-296-3628 for more information. We're located in Ravenna, OH. Work with someone who's done done contracting. Clair and Rod have both worked in the trades.